A heady evening of vintage cocktails, swing dancing, live music and performance. Don your gladrags and prepare for the blackout as we blast our way back to the 1940s for this Museums at Night! 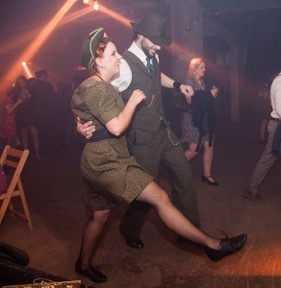 Purveyors of artisan gin Sacred Spirits will be tickling tastebuds with vintage cocktail tastings, whilst Swing Patrol teach you to get those feet tapping and the spellbinding sounds of the Night and Day Collective beat a rhythm in the Great Hall. Timed entry for tastings only. Attendees are welcome to enjoy the event from 6.20pm to 10pm no matter what time booked for the tasting.